Blueberries are perennial flowering shrubs, 10cm to 4m tall with deep purple-blue to blue-black coloured berries. They are closely related to cranberries, bilberries and grouseberries, which are also found in the genus Vaccinium. Ripe blueberries have light green flesh, while bilberries, whortleberries and huckleberries are red or purple throughout. 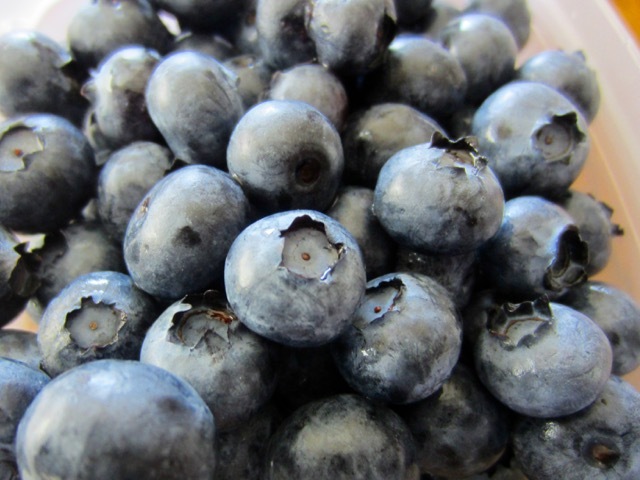 Blueberries are an excellent source of fibre, vitamin C and manganese. They are small, juicy and low in calories. On average, they range from 50-70 calories per cup. They can be eaten ripe or added as an ingredient in cereal, yoghurt, pancakes, muffins, pies and tarts and fruit salads. They can also be dried or used to make jam or wine. The ripe fruits are naturally coated with a powdery epicuticular wax or silver sheen, also known as “bloom”. They thrive in highly acidic soils and do not self-pollinate. Blueberries are generally classified into wild or low-bush blueberries and high-bush blueberries, based on height. Cultivated species have fruits three to four times larger than the wild species. Commercial “blueberries” are native to North America and can either be cultivated or picked from semi-wild or wild bushes. They belong to several closely related species. The most commonly cultivated species is V. corymbosum, or the northern high-bush blueberry. Other cultivated species are: rabbiteye bluebery (V. virgatum) and the hillside or dryland blueberry ( V. pallidum). The common wild species is (V. arboreum). V. angustifolium is a low-bush blueberry found westward in the Atlantic provinces to Quebec and southward to Michigan and West Virginia. The major producers in Canada are Atlantic Canada, British Columbia and Québec. The major producers in USA are Michigan, Georgia, Oregon, New Jersey, California and North Carolina. 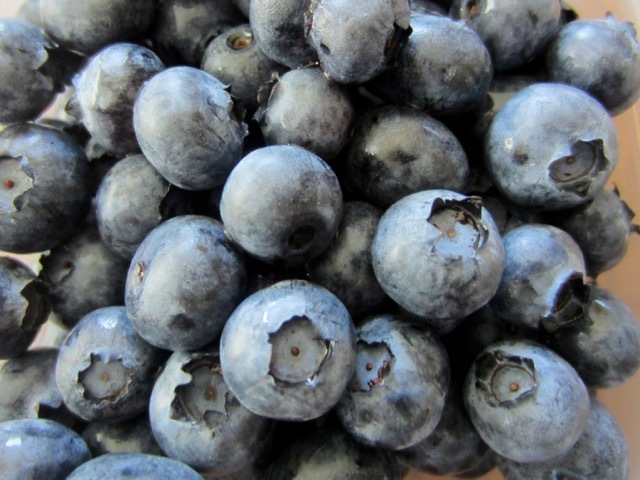 Blueberries are produced in several European countries. The highest producers are Poland, Germany, and France. Storage: in general, berries are highly perishable but blueberries can keep fresh up to five days and several months in the freezer. Fresh berries should be plump, dry, firm, well-shaped and uniformly coloured. Posted in Fruit, Ingredients, What is? I froze a lot of blueberries during summer but my son has been making smoothie every single day, and the other day, I opened the freezer and gasped!!! THEY ARE FINISHED!!! We drink yoghurt and fruit smoothie every morning…. Good for you. I should have been smart, like you, and rationed. Lesson learned.